Tuberculosis an infectious disease caused by Mycobacterium tuberculosis is one of the leading causes of human morbidity and mortality. In 2013 the WHO reported one and half million of deaths and nine millions new cases of active tuberculosis caused by TB1.The increase in the incidence of clinical tuberculosis is associated with increasing reports of new cases of multi drug resistant (MDR-TB) and extensively multidrug resistant (XDR-TB) strains1. Propolis (bee glue) is well known for its antibacterial and antifungal properties.More than 30 ethanol-water extracts obtained from different propolis samples were tested for antituberculosis activity. Minimal Inhibitory Concentrations (MIC) values for the EO were established with 96-well micro plate method with AlamarBlue (Invitrogen). Reference strain of Mycobacterium tuberculosis H37Ra inoculum in Middlebrook 7H9 broth (Difco) was 5x105cfu/ml per well, accordingly to CLSI standards. Serial twofold dilutions of propolis extracts ranged from 64 to 8 µg/ml. As the internal control of the method serial twofold dilutions of four first line antibiotics dedicated to the tuberculosis treatment: isoniazid (INH), rifampicin (RMP), ethambutol (EMB) and streptomicin (SM) were used2,3. Acknowledgments. The work was financed from grant No 4/POLTUR-1/2016. 3 Wayene, P.A. (2011). Susceptibility Testing of Mycobacteria, Nocarediae, and Other Aerobic Acinomycetes; Approved Standard-Second Edition. CLSI document M24-A2. USA. Clinical and Laboratory Standards Institute. ISNAD WIDELSKI, Jarosław , GOLUS, Joanna , OKIŃCZYC, Piotr , SAWICKI, Rafał , GINALSKA, Grażyna , MROCZEK, Tomasz , SAKIPOVA, Zuriyadda , CHINOU, Ioanna , SKALICKA-WOŹNIAK, Krystyna . "Antituberculosis Activity of Propolis". 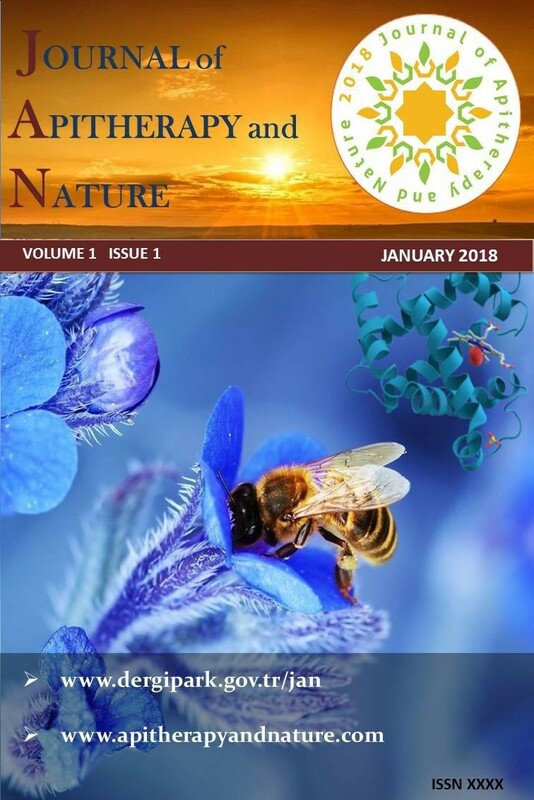 Journal of Apitherapy and Nature 1 / 3 (December 2018): 77-77.